This 993 is for sale, just under $30k. Almost 45 degrees of negative camber on the rear passenger side wheel. 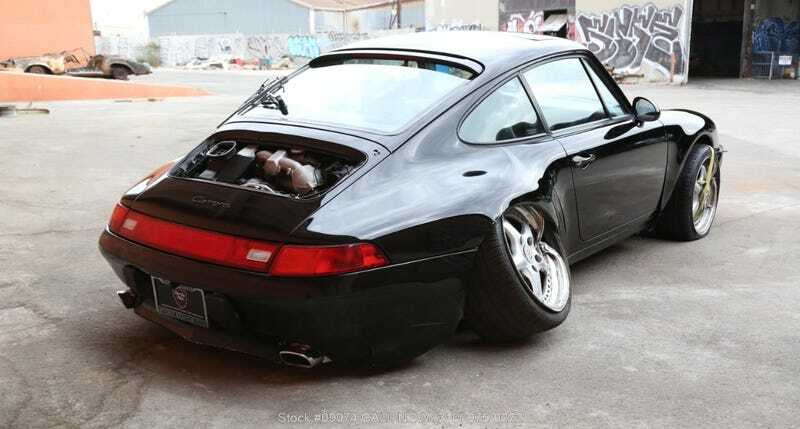 I’d like to think it’s the unfinished project of a motivated stance enthusiast, but it would seem that this Carrera simply fell off of the flatbed at some point.